The Guardian reports that human rights groups have expressed concern at a major rise in UK arms sales to Saudi Arabia. You can see the official figures showing the details of the export licences here. Tim Farron has accused David Cameron of putting profits before human rights. The Government is putting profit before everything else, including human rights and regional stability. We should be world leader in human rights and not a world leader in arms sales to unsavoury regimes. Britain deserves better. There is strong evidence that these British weapons are being used against civilians in Yemen, which breaks international law. All arms contracts with Saudi Arabia should be suspended until there is firm, open proof that no laws have been broken and any new contracts should be signed of by the Defence Secretary for approval. Read more by NewsHound or more about arms exports, human rights, saudi arabia or tim farron. This is due to being greedy capitalists,they care more about financial profit,then human life,same like here in the USA ! Terrific from Tim ! Very good to see actual suggestion of suspension of arms sales , intervention in the market , thoroughly liberal and Liberal in keeping with the harm principle ! And as I often do , and in the week of his birthday a few days ago , which he spent in a Saudi prison , a big shout out for the plight of Liberal hero , Raif Badawi , while we re on the subject !!! This is good and Tim has also said “On Iran, diplomacy is at its best when it’s working for a safer world, but we should not ease up pressure on preventing human rights abuses”. This is important because I’m of the opinion that some people with sectarian agendas have jumped onto the anti-Saudi bandwagon, a bit like some anti-semites jumped onto the anti-Israeli government one. Important to not take sectarian sides. Great stuff. Naturally crucially important in terms of what it says in general about what Britain should stand for, but also great in flagging up what should make the Liberal Democrats unique and distinct as a political “brand” again. The only other party I could envisage saying this (as Labour is currently incapable of saying anything with a united voice) are the Greens and I believe we need to work as closely with them on a range of issues (fracking, reformed EU etc.) as we can. Not to mention the corruption that may be involved in such deals; remember how Tony Blair blocked the Serious Fraud Office’s investigation of an alleged slush fund concerning BAE and a Saudi prince? Having said that, the Al Yamamah contract has been critical to BAE’s survival and probably to that of many others in the defence industry. It would worth adding to the demand to close down such deals a request for a strategic review of arms sales, to effect a transition from reliance on such customers towards ones that are more acceptable. We must take into account the employment prospects and contribution to advanced technology of thousands of highly skilled employees. Wait a minute (or rather 4 months); didn’t that looney leftie Jeremy Corbyn say the same thing, and more, months ago….Corbyn raised a Parliamentary question on the subject of such arms sales and was the driving force in cancelling a £6million prison contract….Saudi Arabia responded by accusing Corbyn over “His lack of respect” and threatened, ““If the extensive trade links between the two countries are going to be subordinate to certain political ideologies, then this vital commercial exchange is going to be at risk.”…. @expats; let’s keep up the “We don’t agree with anything Corbyn says” attitude….. Wait a minute (or rather 4 months); didn’t that looney leftie Jeremy Corbyn say the same thing, and more, months ago…..
Do check it out. 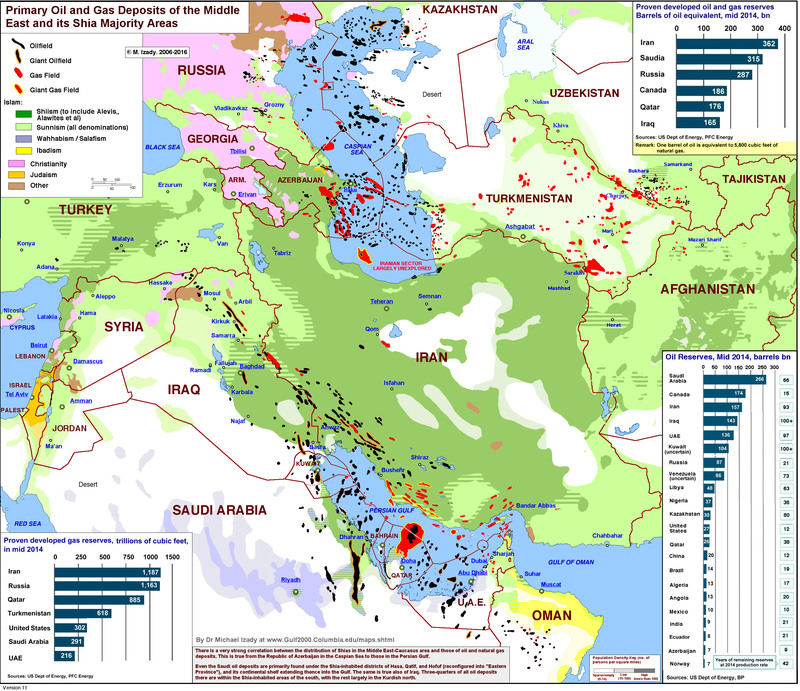 It charts oil and Islam’s Shia/Sunni schism. It seems the writing could be on the wall for Waahabi Saudis. Why do we go on flogging them arms indeed? with the way the legal system is going any company flogging arms which are illegally used could find itself on the receiving end of a large compensation claim. Conor Clarke 20th Jan ’16 – 10:05am………………expats…….Even a broken clock is right twice a day………. Perhaps…However, in the case of our clock, we seem to have lost the ‘hands’ …. I’m no fan of the Saudi’s, but surely the correct response here is to review the whole export licensing process and criteria, rather than simply picking out the Saudi’s for special treatment i.e. suspension? Export licences get granted to all sorts of countries, some of whom are involved in wars or counter terrorist operations where civilians may be killed i.e. they are actually using the weapons that we export to them. There should be a fair and humane set of rules, applied equally to everyone. More of this please. (And yes, the arms export process – the word control doesn’t figure at present – needs huge reform).